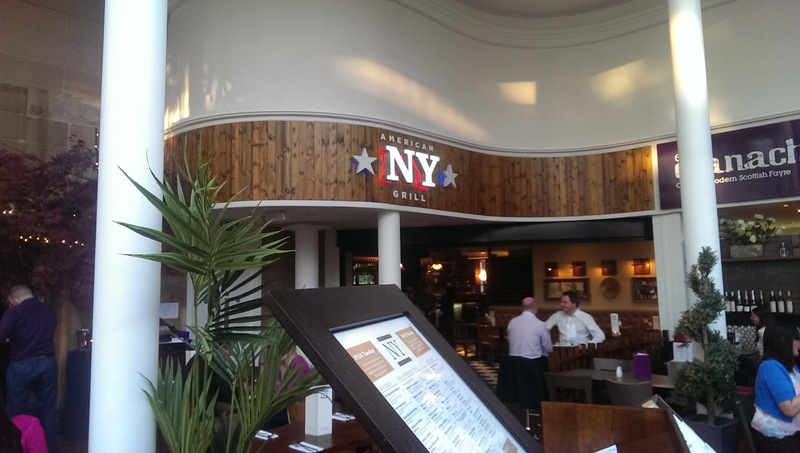 NY American Grill opened a few months ago on the top floor of Glasgow's luxury shopping mall Princes Square. This new US food restaurant is a must-visit in the city if you want authentic American staples with genuine US ingredients. The decor is that of a New York loft, with exposed brickwork and pipes, and street sign murals. 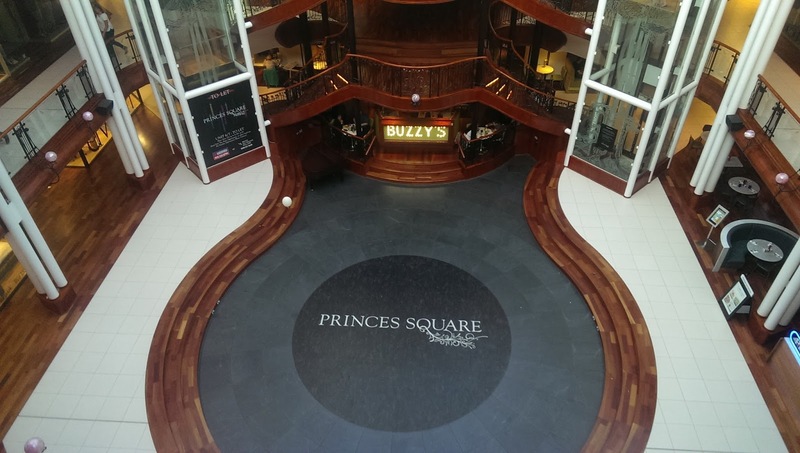 It is a smart casual establishment; making it perfect for a celebratory meal or just a casual dinner after work. Like restaurants in the US, the staff are incredibly friendly, enthusiastic and knowledgeable about the menu. The menu is extensive and covers traditional dishes from across many US states- such as New England Clam Chowder- along with classic burgers, steaks (cooked on an amazing Josper Grill) and ribs. We went along as a group of four, so got to try a lot of the dishes and cocktails on offer. The cocktail menu is also vast, and seperated by state. Lots of the spirits have been sourced directly from the US- such as Square One Vodka and a wide variety of Bourbons. From the cocktail menu (which are all very reasonably priced), I had 4 (yes, I was rather drunk by the end of the evening). The 'I Love Lucy' is from their Florida cocktail section. It's a creamy textured iced smoothie-style drink that's made with Skyy Passionfruit Vodka, Bols Yoghurt Liqueur and fresh passionfruit. I love passionfruit, and I expected this to have a much more fruitier and juicier flavour; but it didn't really taste of much, sadly. 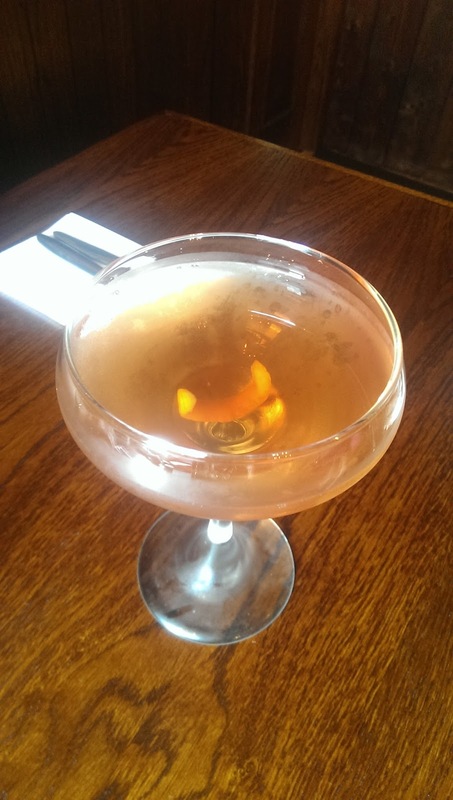 I then tried the After Dark Manhattan (£7.95) which is a smokier version of a classic Manhattan cocktail as it's made with Highwest Campfire Whiskey. 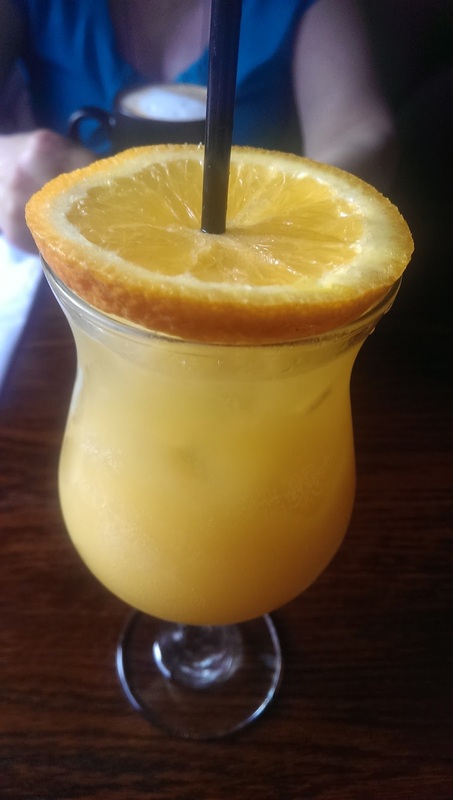 The 'Harvey Wallbanger' cocktail (£6.95, from the New York section of the menu) has a twist on the original classic. It's made with basil-infused vodka; which gives it quite a bitter taste. I liked it; but the basil was a tad too overpowering for me. 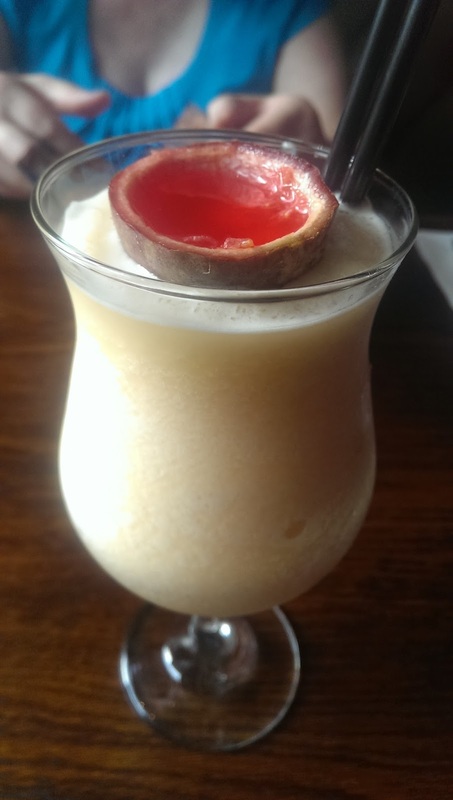 Next, I had a Pina Colada (£6.50, from the Florida section again). It was delicious, creamy and sweet. 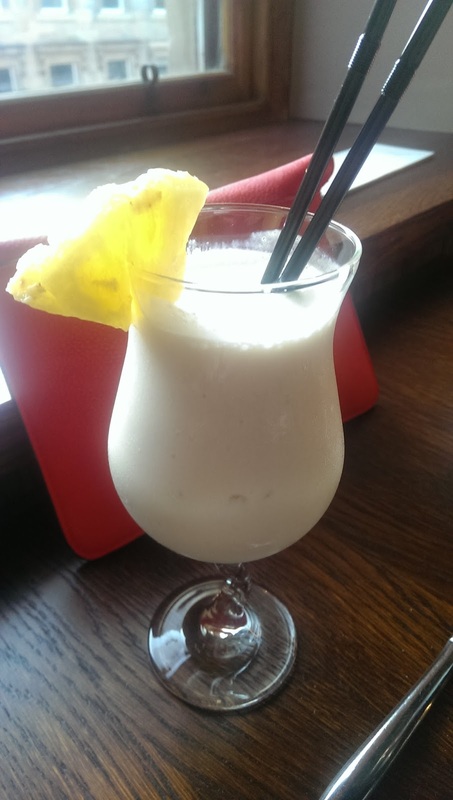 It's made with Koko Kanu Rum, coconut ice-cream, fresh pineapple and coconut syrup. 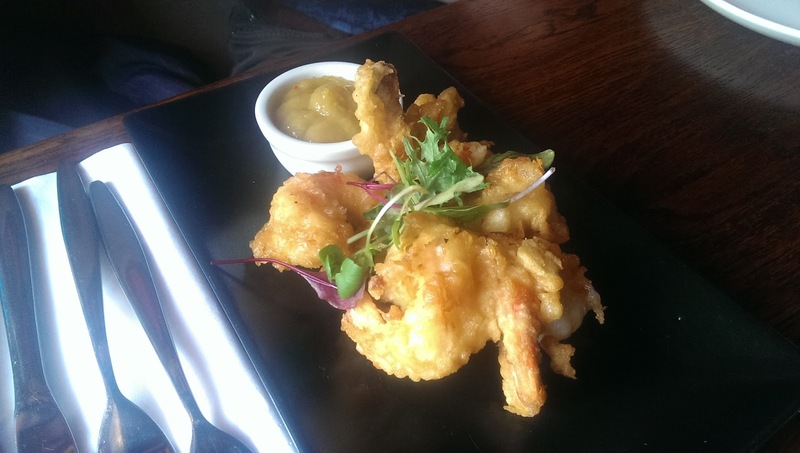 For starters, we tried the Florida-Style Coconut Shrimp (£7.95). The prawns were huge and had a tasty crispy coconut crunch batter. 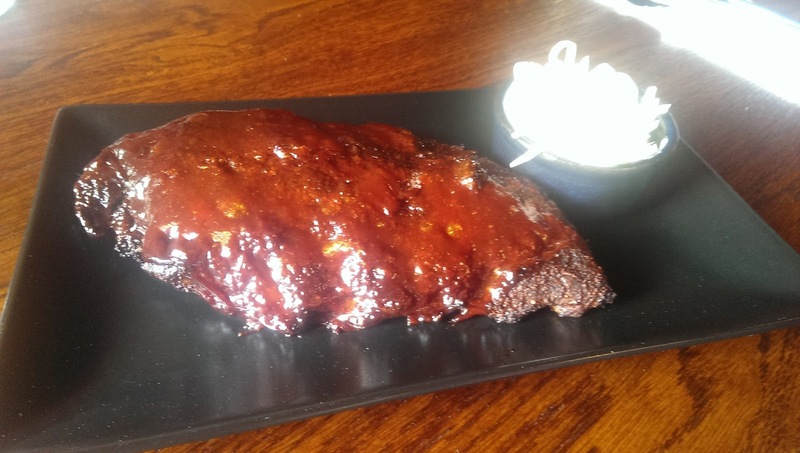 The Crispy Calamari (£5.95) had the most delicious, gently spiced light batter, and were just perfection, and the Bourbon BBQ-Glazed Half Rack Ribs (£7.95) were tender and came away easily from the bone. The BBQ sauce was strong and smokey but didn't overpower the pork flavours. 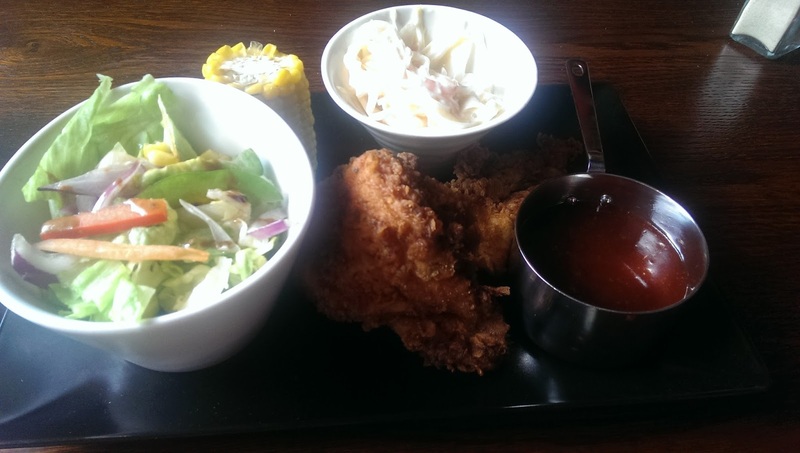 As a main course, I could not resist the Southern Fried Chicken (£10.95 and one of my most favourite meals when I visit America). 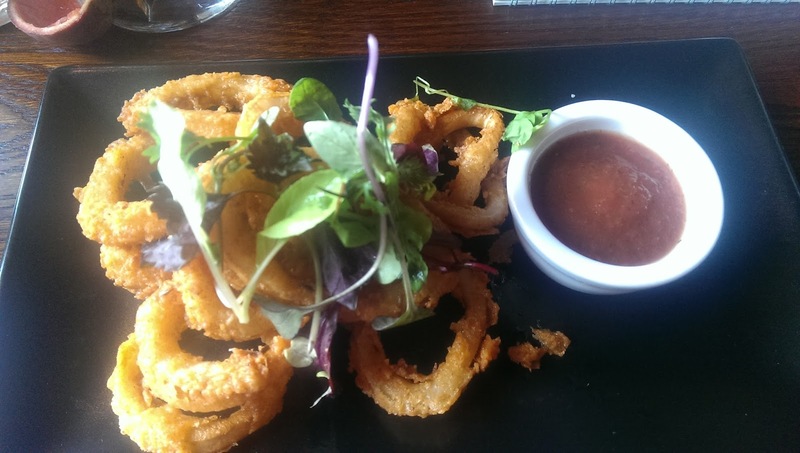 The batter was the same light and slightly spiced one as the calamari. I could have eaten buckets of it. 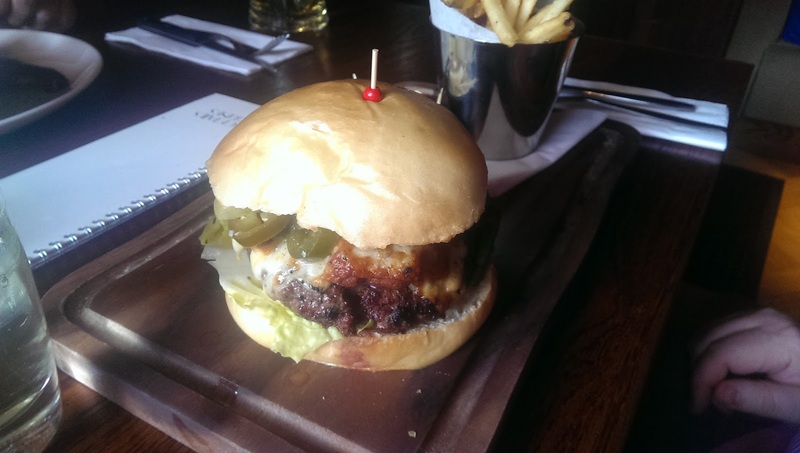 One of my guests had the The Big Devil Burger (£13.50) which was juicy and not too spicy with its Devil's Breath NY Hot Sauce. 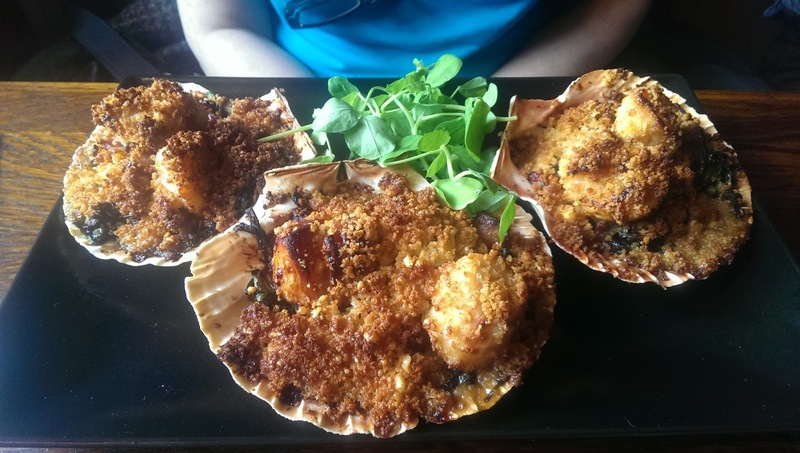 Another had the Scallops Rockefeller (£18.95) which looked stunning served in shells. The scallops were perfectly cooked, and the parmesan crust and spinach sauce did not overpower the delicate scallop flavours. 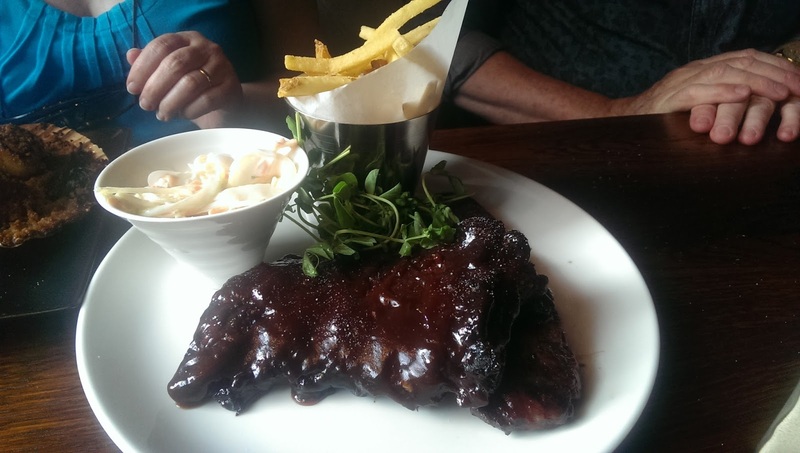 Our final main course was a main course-sized portion of the BBQ ribs- the Bourbon BBQ Glazed Rack of Ribs (£14.95), which I was assured were just as succulent as the starter I tried. The home-style fries which came with the main courses were amazing- crispy on the outside and fluffy on the inside, with an authentic American taste. As desserts, we opted for two of each of the Key Lime Pie (£5.95) and the Chocolate Lava Cake (£8.95). 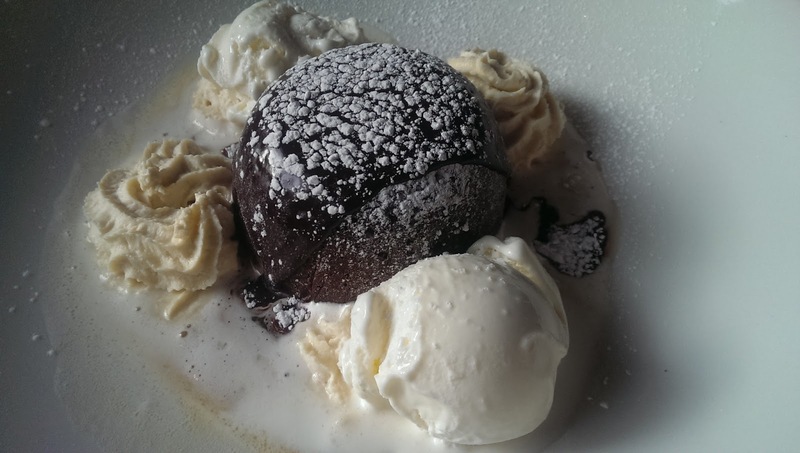 The Chocolate Lava Cake takes 20 minutes to make, and is basically a chocolate fondant. Once you have broken through the sponge, a chocolate river runs out. It was very rich, and would be best shared. Unfortunately it is served with ginger ice-cream which I don't think goes with the very rich chocolate at all. Vanilla would have been a better contrast. 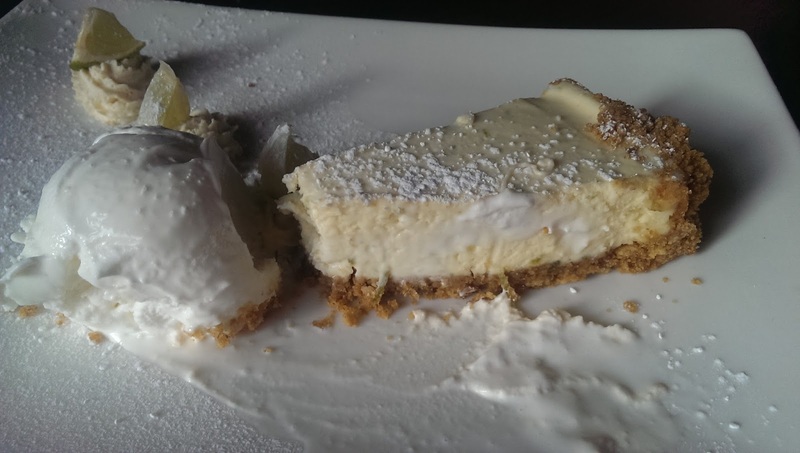 The Key Lime Pie (£5.95) is very refreshing. It is served on a ginger crumb base, and with sweet coconut ice-cream to counteract the bitterness. Now I really know the importance of quality content, so I always choose best places to spend my time. So, I choose http://casinointheuk.com/banana-splash-slot Gambling becomes a truly fun time pass like never before!